" I am very satisfied with this new mask. I don't wake up with any pain on the bridge of my nose or any air leaks. I'm very happy with it "
" This being the second mask I tried (the first full face hurt my nose) is perfect for me! Great seal and so comfortably! I would highly recommend this!! " 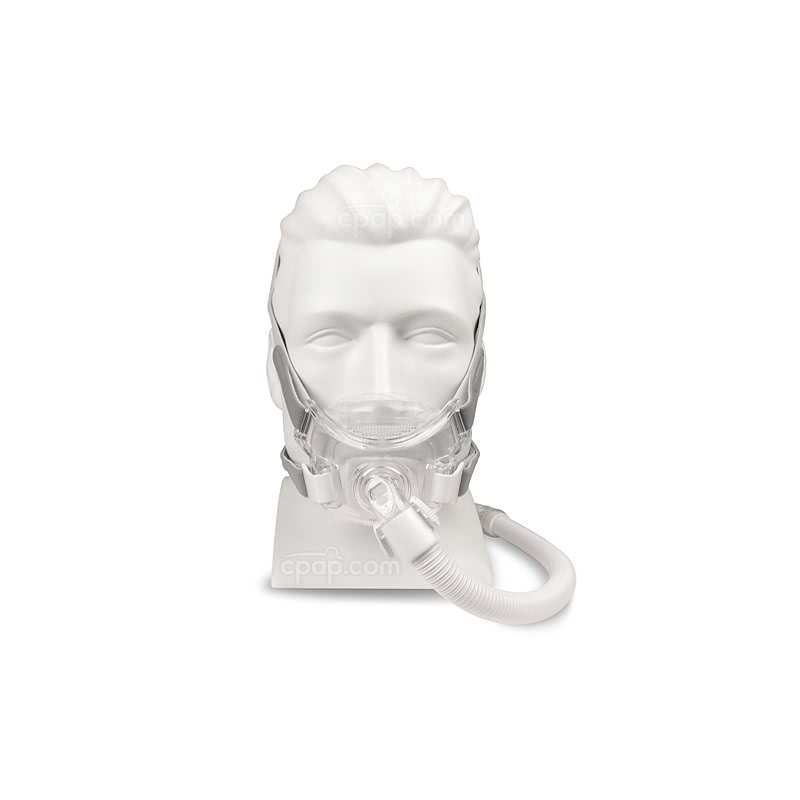 The Amara View Full Face CPAP Mask with Headgear by Philips Respironics is a full face mask design featuring lightweight materials and core full face components. 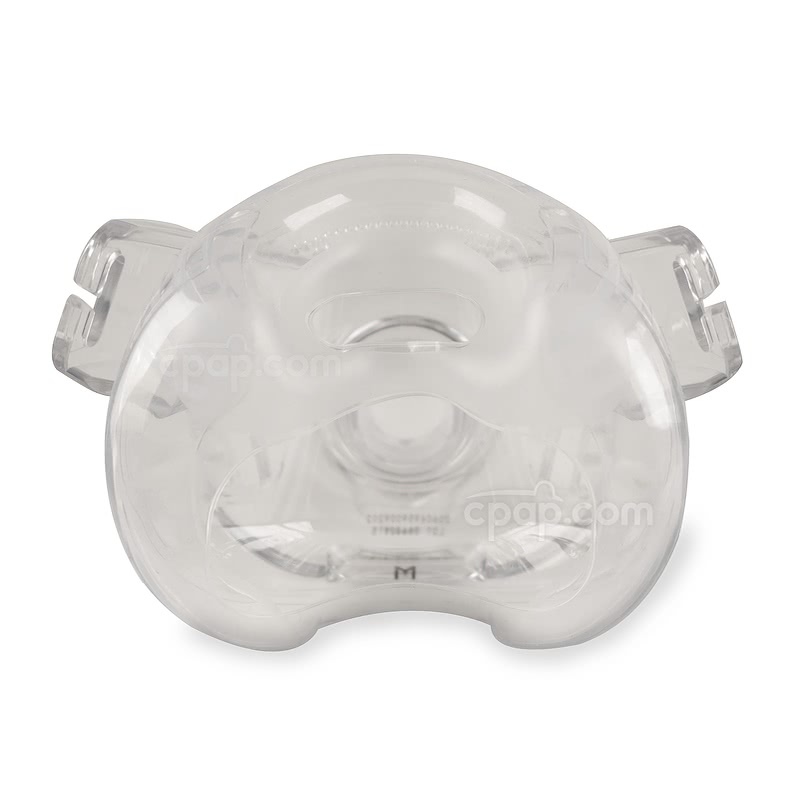 The Amara View CPAP Mask offers efficient CPAP therapy without a forehead support. Be prepared to experience sleep therapy with a 'view'. 3% of Full Face Mask product buyers choose this product. 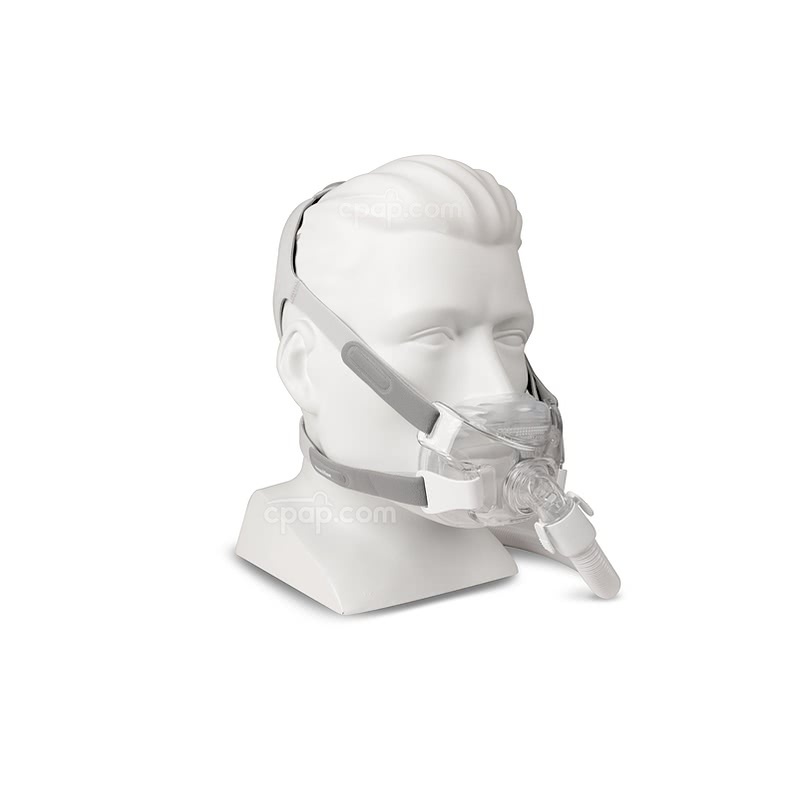 The Amara View Full Face mask features a innovative headgear with four points of adjustment around the mask frame and a fifth point of adjustment using a crown strap at the top of the head. The crown strap crosses directly over the top of the head, creating a halo shape around the back of the user's head. The number of adjustment options creates a design that helps promote a more secure grip and even distribution of pressure. All Amara View masks are accompanied by the standard size headgear. 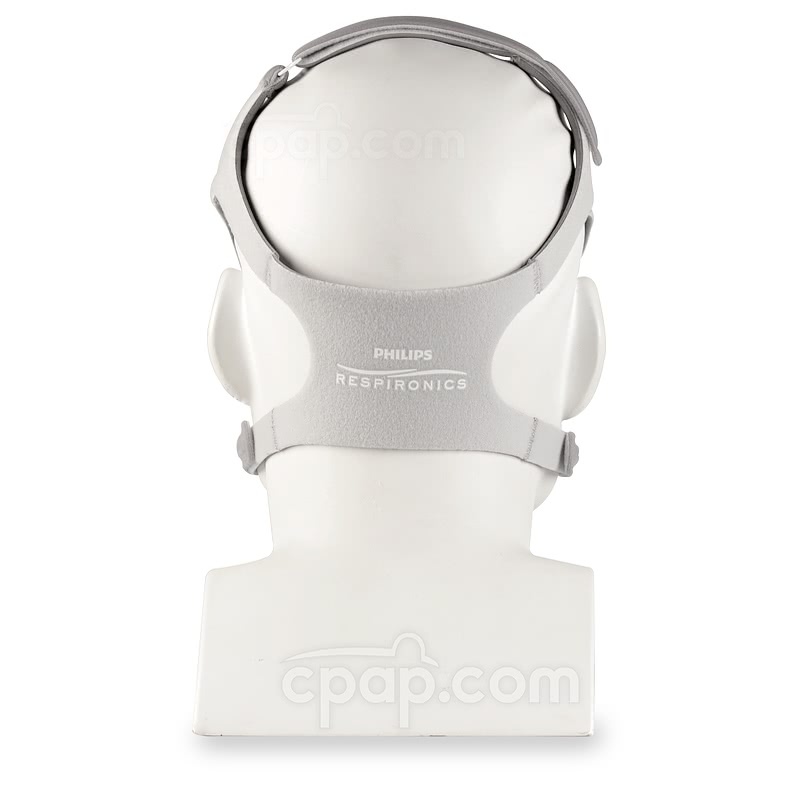 A larger headgear option can be purchased, "="https://www.cpap.com/productpage/respironics-amara-view-full-face-cpap-headgear"">here. Anti-Asphyxia Valve Closed to Atmosphere: A sustained minimum pressure of 3 cm H2O is required to ensure the valve closes. Anti-Asphyxia Valve Open to Atmosphere: The valve will open when pressure is no longer detected. How to Put on the Amara View Mask? Before placing the mask over your face, loosen the headgear straps and remove the headgear clips from the mask frame. Lift the mask and headgear over your head. Then, secure the mask under your nose by skimming your nose over the nostril opening. Hold the mask in position against your face to ensure a good fit. While holding the mask to your face, re-attach the headgear clips to the front of the mask frame. Continue to hold the mask near your face, while pulling each individual headgear tab to tighten the straps. Release your hands from the mask and make subtle adjustments where they are needed. Please Note: Do not allow your nose to fall into the opening, but rather let your nose glide over the opening. How do I find the size? Hold the mask with the headgear facing away from you. The exhalation ports located on the front of the cushion need to be placed at the top of the mask. With the mask correctly positioned in hand, turn the mask upside down to view the bottom of the mask frame and cushion. A black letter is embossed on the cushion to indicate the size. The Amara View full face cushion is replaceable. How to Fit the Amara View Mask? The nasal and mouth openings vary depending on size, please use the Amara View Sizing Guide to help determine the correct mask size. Fold along the dotted line and cut out the gauge. Place your nose above the designated nose indention, allowing your nose to move over the paper. The correct size is determined by the box your nose travels into comfortably. 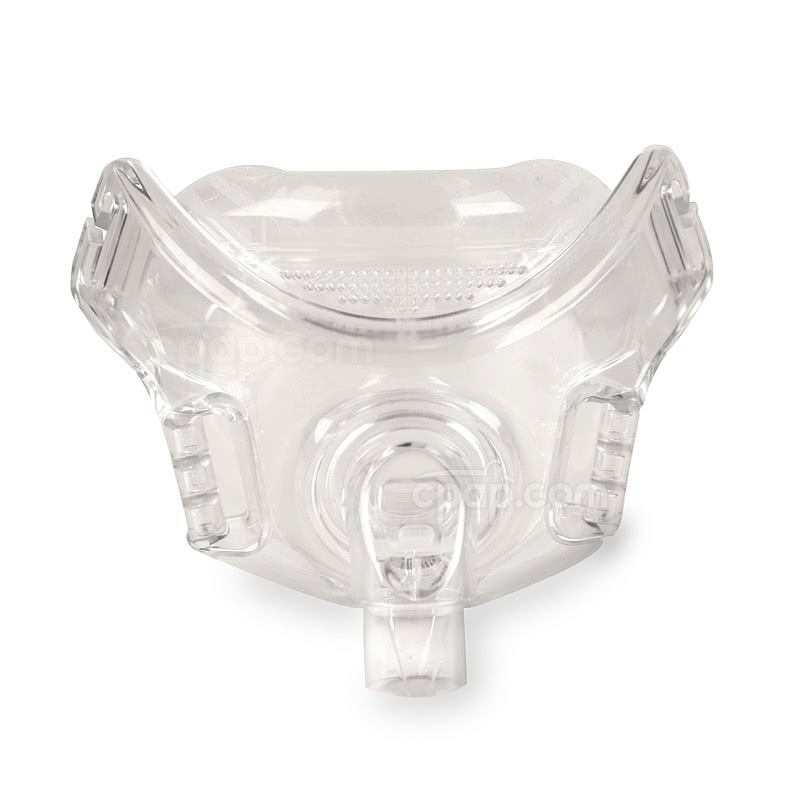 Please Note: Regardless of the cushion size, the Amara View Full Face CPAP Mask is packaged with the standard size headgear. The replacement headgear is also offered in size Large if a change is desired. If using a Respironics System One machine, a system one resistance control number from Respironics can be set to allow the machine to compensate for different mask types. The resistance control number for the Amara View Full Face CPAP Mask is X1. Please Note: System One Resistance Control is for System One Machines only. Follow these steps to verify the anti-asphyxia valve is working properly. Safe CPAP therapy is dependent on the functionality of the valve. The elbow with the flapper should be lying flat when the air is turned off. This allows the air circulating in the room to flow in and out of the elbow through the air inlet. When air is turned on, watch to ensure the flapper covers the air inlet. 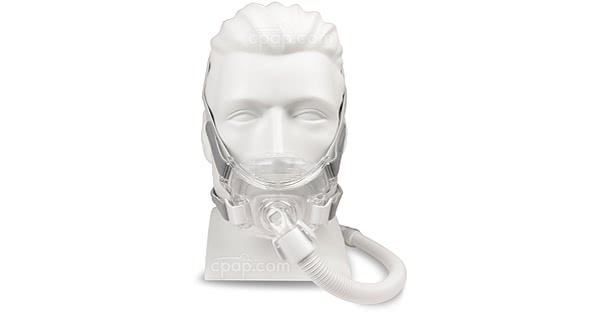 This allows air from the CPAP to flow into the mask. 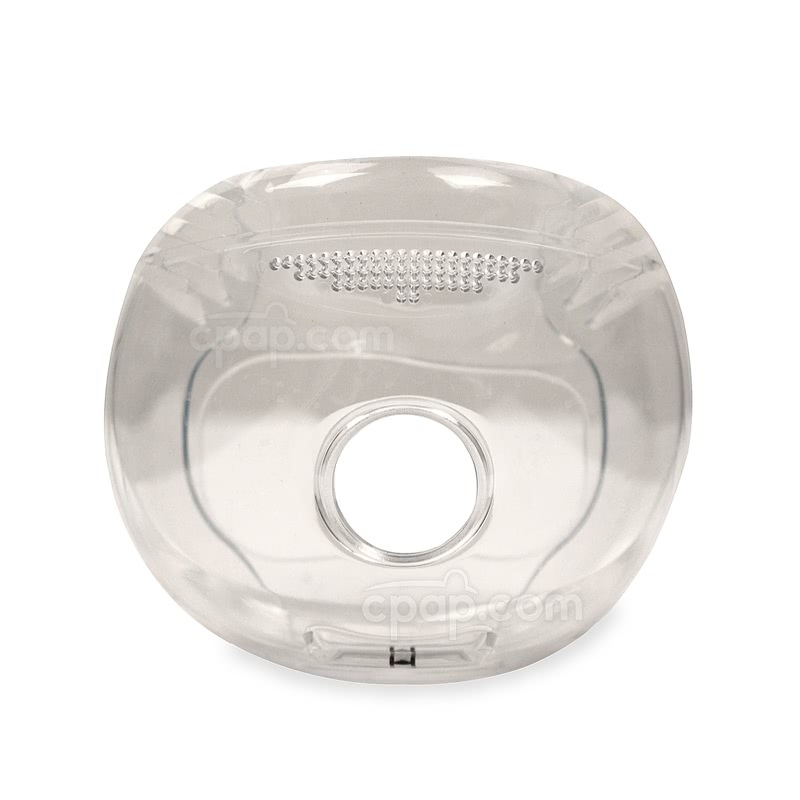 If it appears the anti-asphyxia valve is not functioning properly, replace the mask. It is recommended to wash the mask each day. Use mild shampoo and warm water to clean the mask thoroughly. Then, place the mask away from sunlight to air dry. Headgear should be washed once a week. Use mild shampoo and warm water to cleanse the gear. Then, let it air dry away from the sun. Don't have time to wash your mask each day? Use a mask wipe or spray cleaner to safely and efficiently remove oil and dirt. 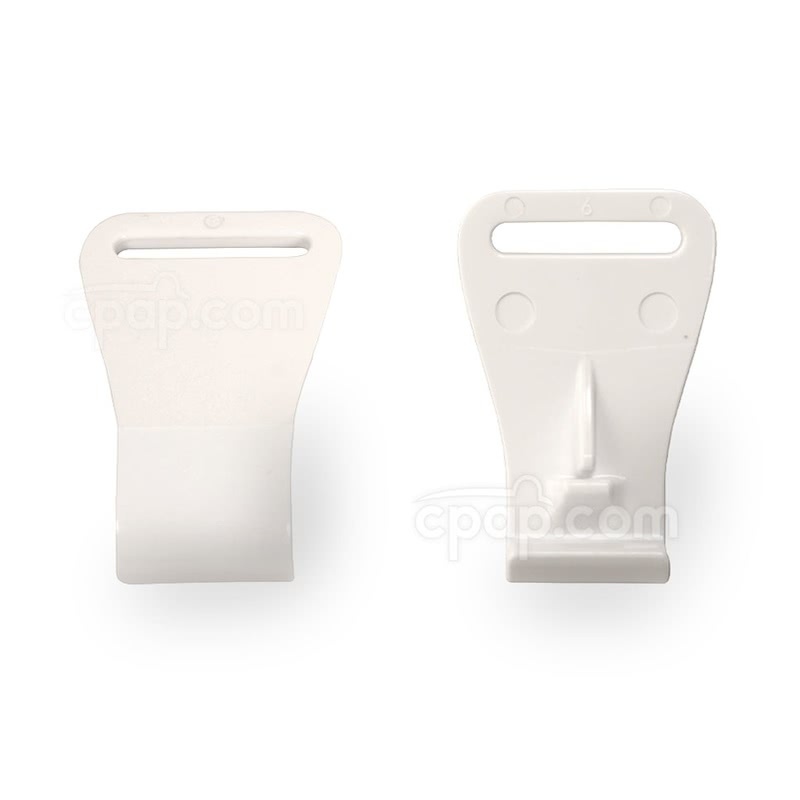 Visit the CPAP Cleaning Accessories page to view the many different options here. Grasp and rotate the headgear clips to release them from the lower half of the mask frame. Pull the hook and loop tabs apart to loosen the headgear straps. Turn the mask away from you with the elbow facing outward. Grip the mask cushion from the top with one hand, while holding the mask steady with the other hand. Pull the cushion toward you which will cause it to disconnect from the mask frame. Please Note: Do not grip the nostril opening to pull the mask cushion away from the frame. Place your fingers around the small, quick release tabs located on either side of the hose cuff. To reassemble the headgear, pull the two, upper straps through the spaces in the mask frame. Take the lower two straps and attach them to the headgear clips. Then, place the headgear clips over the lower latches on the front of the mask frame. Gently push the clips onto the frame until they click onto the frame. Before placing the full face cushion onto the mask frame, locate the small, exhalation ports. Make sure the ports are at the top of the full face cushion. Next, turn the full face cushion away from you so the face of the full face cushion fits inside the mask frame. Secure the opening of the full face cushion around the center of mask frame and push the parts together. Grasp the tubing by hose cuff. With your fingers pressing the quick release clips open, slide the hose cuff over the elbow.